Not too long ago I picked up a package of light weight cardstock paper. 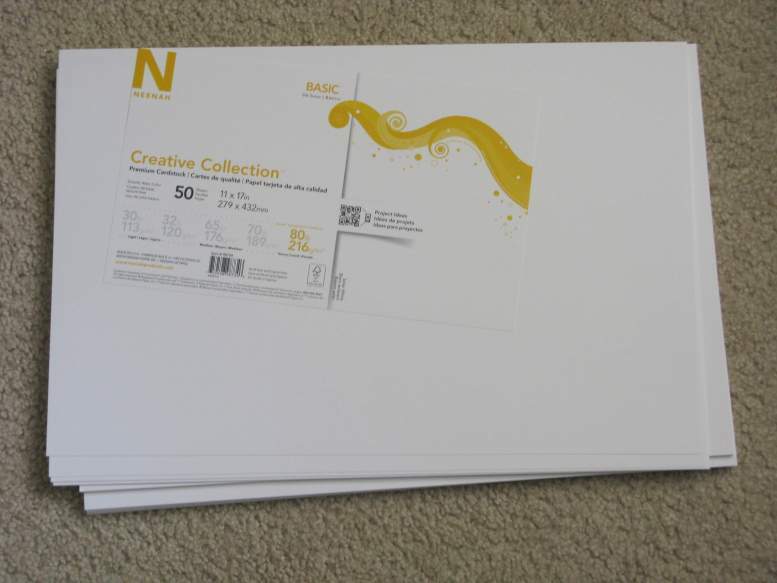 It’s sold by Neenah, and I got it at a local Office Depot, $12 for 50 sheets. It works well for drawing, but I thought I’d see how well I could wrap it to a wood frame to use for watercolor, or actually water-based casein paint, and do some sketching on it. Since it was 11×17″, I used a small 9×12″ wood stretcher instead of my custom built frame. A large plastic storage bin worked well for soaking the paper instead of the bathtub to use less water. It’s only 80-lb. paper, so small pieces tore off fairly easily as I pulled it around the frame. There are no tears on the front, so no problem there. I used thumbtacks to hold the paper in place as it dried, and will leave them there as I paint on the front. It dried as tight as a drum, so this should work fine.